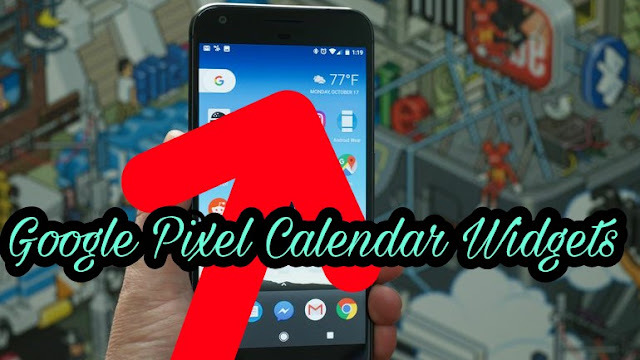 The Google Pixel 2 launches with a lot of new features such as an always-on ambient display, always listening music ID, and more, but one of the simplest additions is the new calendar widget for the launcher which displays your next calendar event across the top of the screen. It is currently unknown if it is coming to other devices or not, but given its simplicity an app developer has already coded a clone of the widget which provides the exact same weather data and calendar information in the exact same style. Lovingly called “Another Widget,” the name isn’t all too descriptive, but that’s because the app itself doesn’t have much to offer besides replicating the Pixel 2’s new widget. The widget is shown above, matching the official widget on Google Pixel 2 devices which come pre-installed on those new devices. You can simply install it, grant access to your calendar and then grant access to your location for the weather. It will then display calendar events happening soon and the current weather with an icon, the date, and the day. A simple addition to your home screen, but a much better option than some of the other available applications. “Another Widget” will work on practically any Android device you can throw at it. You can download this widget on the Google Play Store. Other Pixel 2-specific features may take some time to get working on other devices, though. Only in June was the Google Pixel Launcher with Google Now Support ported after all. Other features such as the always on ambient display can be incorporated in custom ROMs, but others may rely on Pixel 2 hardware or workarounds to port to other devices. It’s always a test for developers to find what works and what doesn’t. Thankfully no such limitations exist for this simple widget. Give it a try and see what you think!